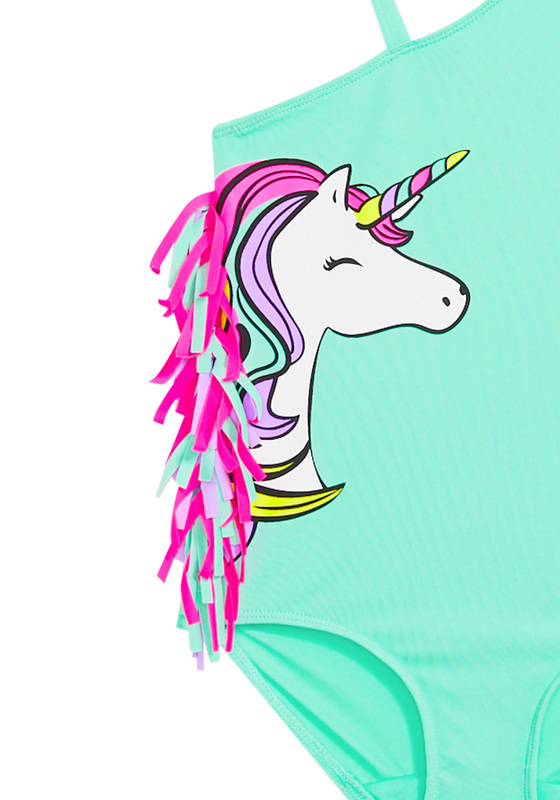 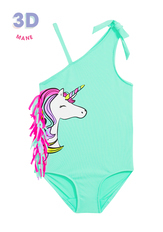 She'll be asking you to go swimming every day with this one-shoulder unicorn swimsuit. Features a 3D fringe mane, skinny strap for security, and faux tie on the shoulder. 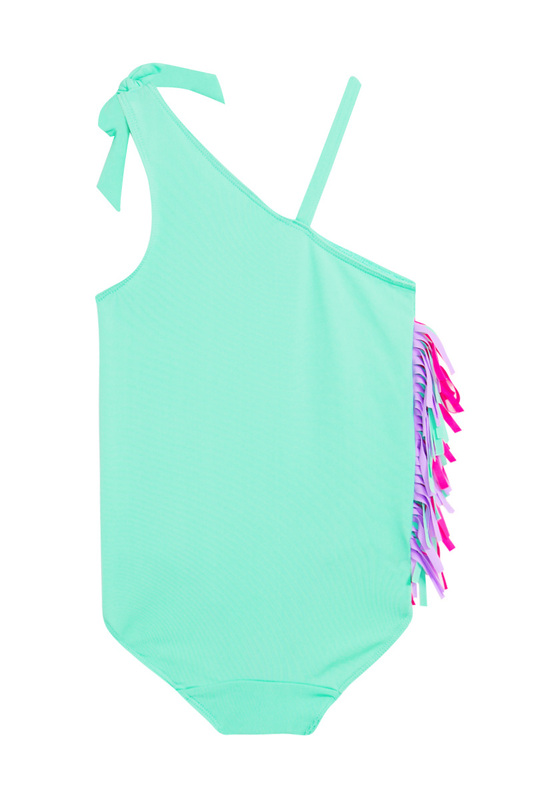 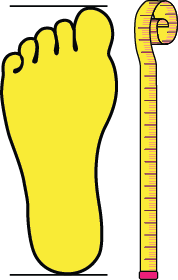 A summertime must-have!